Jordan Spieth, even after finishing the Shriners Hospitals for Children Open at 7-under 277 and tied for 55th, could find positives after a lengthy layoff. Spieth also enjoyed his first professional experience in Las Vegas. Spieth tried to not let an idiot fan ruin his final-round of 1-over 72. 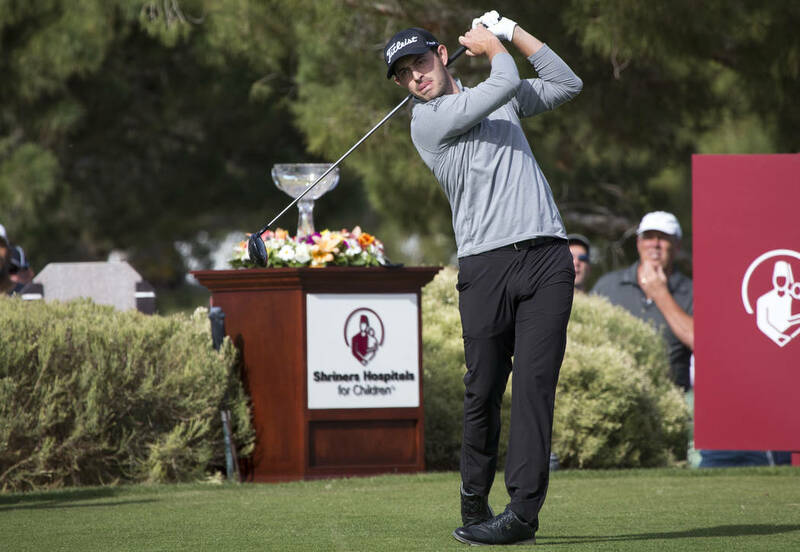 By making birdie on the 18th hole to finish at 14-under 270 and tied for 10th, Las Vegas’ Scott Piercy earned distinction as the top finisher amongst the local contingent. More importantly for Piercy was finding good feelings with the putter, which he said after Saturday’s round had been absent for about two years. “I finally made a couple putts even though I started off missing a 5-footer on (No.) 1 again,” Piercy said after the final round. “I just tried to stay patient and probably did leave a few more out there. The putter let me down early in the week, and it was just too much to make up. Las Vegas resident Aaron Wise, fresh off being named the 2018 PGA Tour Rookie of the Year, finished a shot behind Piercy at 12-under 271 and tied for 15th but was pleased with his play after being off for five weeks. Wise tallied a field-best 27 birdies for the week. Brian Hurlburt is a two-time author who has covered golf in Las Vegas for more than two decades. He can be reached at bhurlburt5@gmail.com or @LVGolfInsider.